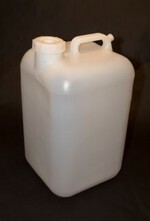 HedpakÂ® is a semi-rigid high density polyethylene bottle designed to fit inside a heavy-duty 350 lb. 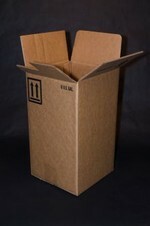 double wall corrugated outer shipping carton. Molded top handle and bottom finger grips for easy lifting and pouring, large 70mm screw cap for fast filling and draining. In-line spout allows complete draining with 3/4" faucet (order faucet separately below). 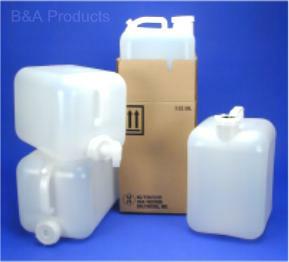 Special venting cap in the handle allows smooth product flow while dispensing, prevents "chugging". 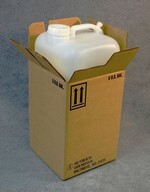 Order HedpakÂ® bottles and cartons separately below. Knocked down containers are intended for non-hazardous products. 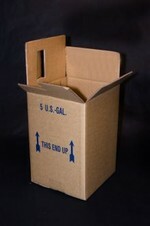 Assembled HedpakÂ® is factory assembled into the shipper carton, meets UN Specification 4G/Y36/S for hazardous products.